Dino of the Month: Mercuriceratops! 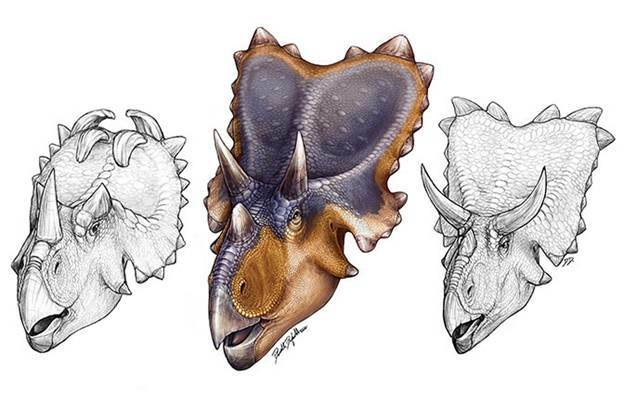 Mercuriceratops is a new species of horned dinosaur that was described last month by a team from Canada and the USA, including Dr. Philip Currie. The dinosaur itself is found both in Dinosaur Provincial Park in Alberta and along the Missouri River in Montana. In each locality a squamosal was found, one of the bones of the head. This bone was so distinctively different from those of all other horned dinosaurs however, that it was determined to be a new animal. This find further underscores the incredible diversity of dinosaurs found in the fossil record. 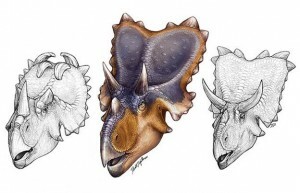 Comments Off on Dino of the Month: Mercuriceratops!